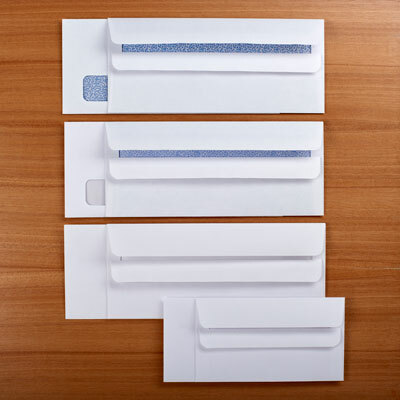 "OUR MOST POPULAR DOUBLE WINDOW ENVELOPES"
1. Raise the lower flap. 2. Press down on the upper flap.